The airline has just announced that it will offer New England’s first non-stop service to Cuba with flights on Saturdays between Boston’s Logan International Airport and Havana’s Jose Marti International Airport beginning November 10. 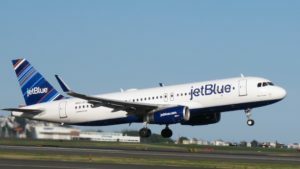 In addition, JetBlue will further expand service to Cuba with up to three daily flights between Fort Lauderdale-Hollywood International Airport and Havana on Sundays through Fridays beginning November 11. The new service is the result of the U.S.Department of Transportation’s recent decision grant increased frequencies to the airline. The routes however, are still subject to government approval and will go on sale in the coming weeks. JetBlue also announced plans to introduce two new daily nonstop flights to Mexico City with service from Boston and New York’s John F. Kennedy International Airport beginning October 25. Also subject to government approval, these new routes add to JetBlue’s existing service to Mexico City from Orlando International Airport and Fort Lauderdale. The new service brings JetBlue daily flights between the U.S. and Mexico’s capital city to six. JetBlue’s new service to Mexico City is the result of a decision by the U.S.Department of Transportation to require certain airlines to divest airport slots in order to enhance competition at Mexico City International Airport. All new service to Cuba and Mexico will be operated on JetBlue’s Airbus A320.